Softphones are a popular choice for businesses looking to move to Voice over Internet Protocol (VoIP) technology. They are software programs or applications that let users make and receive calls over the internet through a computer and/or smartphone. Because softphones offer plenty of benefits to businesses (such as flexibility, advanced features, and an affordable price), many organizations are either replacing their desk phones with softphones or are deploying a combination of these two systems in the workplace. The vast array of softphone options in the market, however, can make it difficult for businesses (especially for beginners) to choose the right solution for their needs. In order to help you streamline and simplify the process, we have provided some tips on how you can select the best softphone for your organization. Early VoIP phone solutions didn’t fare well in terms of call or sound quality because in its infancy VoIP technology (as well as the internet) wasn't stable enough. But today, both technologies have significantly improved, and users can expect a better, more satisfying call experience. In order to ensure the best call quality, it’s important that you choose a softphone solution that guarantees a quality connection. Be sure to do your research and check for customer reviews online. It’s also vital that your current internet service, specifically your bandwidth, meets the system requirements of your softphone. Before deciding on a service, be sure that you understand the needs and requirements of your team. Do you have teams working on the road or remotely? Are there specific features or functions they will need? On average, how many calls per month will your team be making? There are all important questions to ask before settling on a specific softphone solution. And even though most softphones are free (such as those offered by Vonage and 8x8), some charge a monthly fee or a per-license fee (Virtual PBX, for instance, charges $4.99/month). That’s why it is wise to identify the specific number of employees who will be using softphone technology at your company so you can control costs. Like most technologies you use for your business, it’s important that you take the time to compare your options in order to find the perfect softphone solution for your business. Check out different providers and compare features and prices to make sure they suit your industry needs. You should also consult other users, and read reviews on different solutions to find out which ones customers like you prefer. You can also view a complete listing of VoIP softphones in our directory here. Is a softphone right for me? Softphones are truly a great alternative (or a supplement) to traditional hard-wired phones in the workplace. Aside from being wire-free and affordable, they also make communication for today’s modern, mobile businesses much easier. So be sure to follow our tips above to help you find the right softphone. 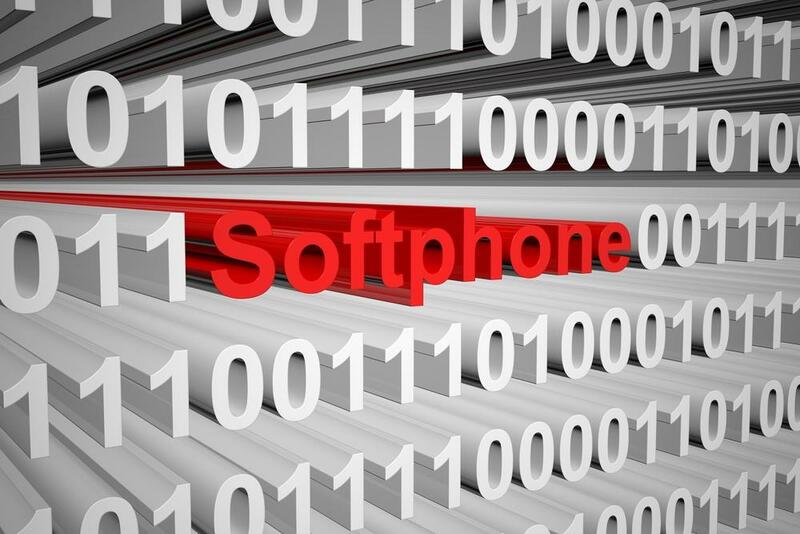 And if you already have a business VoIP provider, chances are your provider can offer you a softphone. Providers like Vonage, RingCentral, and Jive bundle their own softphone app with their phone service package for ease of use and to help their clients communicate and stay connected.